The extended cold weather parka and trousers are new ECWCS development items. The parka and trousers serve as the windproof, waterproof layer to protect the first three layers in the system. 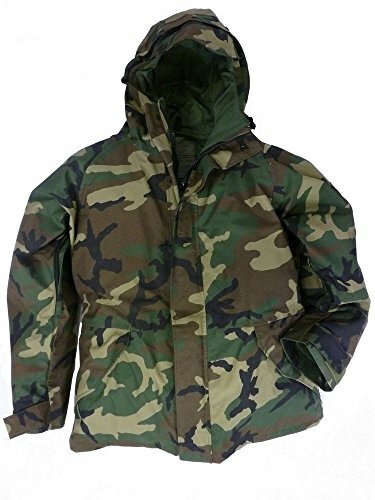 The parka and trousers are made of three layer nylon and polytetrafluoroethylene (PTFE) laminate material. The PTFE in the garment has the property to repel water while allowing perspiration to be expelled. 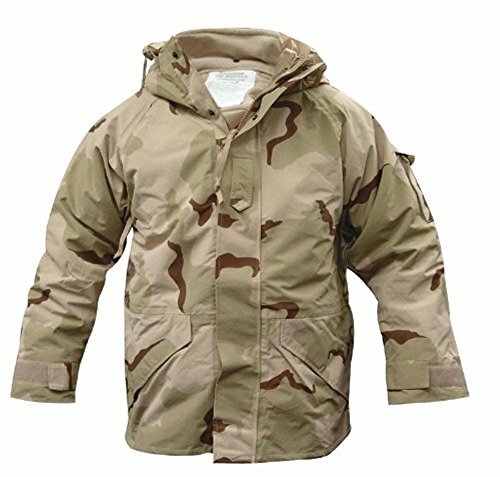 The parka has an integral hood, two breast inside map pockets (which can be opened without unzipping the parka), two large lower cargo pockets, an upper left sleeve pocket with a tape fastener closure flap and a two-way, full-front zipper to provide full face protection, leaving only the eyes uncovered. The underarms also have a slide fastener to provide ventilation. The parka is fully lined with a windskirt. There are elastic drawcords at the waist and hem, and a nylon woven tape drawcord with barrel locks at the hood. Nylon woven tape is also used for the neck hanger loop. Nylon hook and pile fastener tapes are located at the wrist tabs to allow for adjustment. Snap fasteners are located at the Insignia tab along the full front closure on the overlay of the slide fastener, on the windskirt and pockets. The parka hood was modified to interface with an attachable synthetic fur ruff. 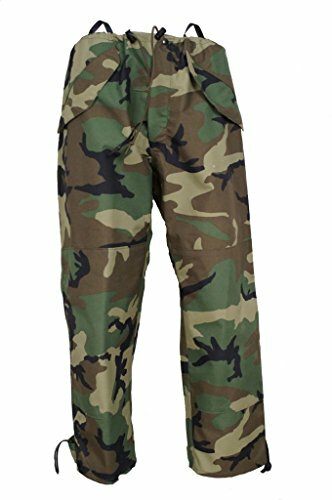 The trousers have seat and knee patches, pass-through pockets, and gusseted leg openings to allow easy donning and doffing without removing the boots. The trousers have an elastic drawcord with barrel lock at the waist. Nylon hook and pile fastener tapes are located at the ankle tabs to allow for adjustment. Slide fasteners are located on the legs and front fly. The trousers have nylon tape suspender loops. Snap fasteners are located above the front fly slide fastener and on the pockets.